Best streaming music downloader specialized in helping Spotify free and premium users to extract and convert Spotify songs, playlists and albums to MP3, WAV, FLAC, AAC, M4A for offline playing on any device. 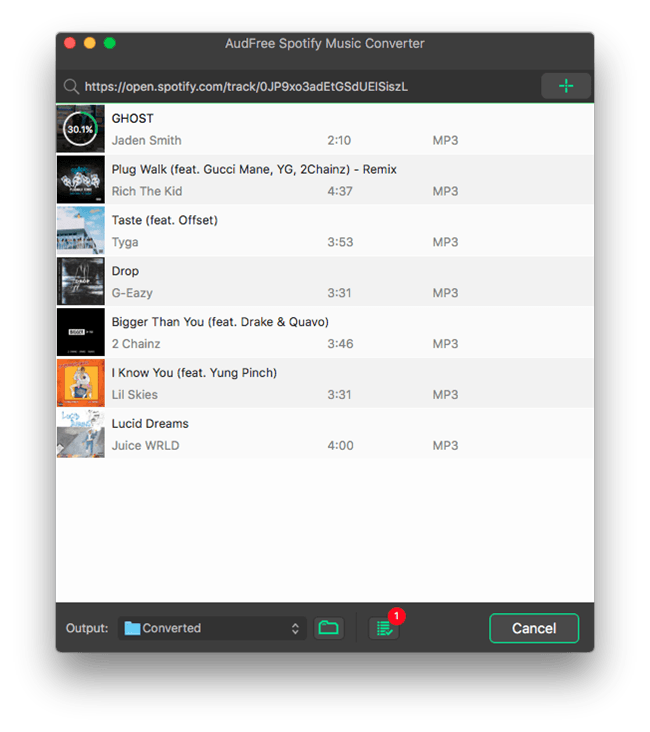 As a thoughtfully designed streaming music solution, AudFree Spotify Music Converter for Mac is an expert in helping you managing your Spotify tracks with ease on Mac OSX. No matter you are using the premium or free subscription of Spotify music service, with this smart Spotify downloader and encoder, you can easily listen to all types of Spotify songs, playlists, artists and albums offline on any media player by extracting and converting the music streams to common audio formats without causing damage to original music quality. Being protected by DRM, Spotify songs imposed many restrictions to free subscribers so that they can only enjoy the music online. Even premium users can only play the Spotify music on limited devices because of the DRM. 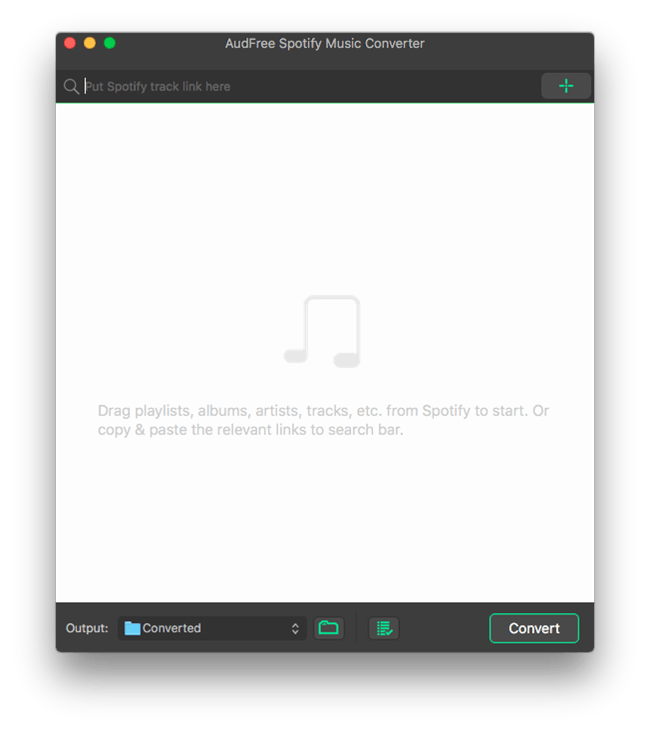 Now with AudFree Mac Spotify Music Converter, you can freely download any Spotify track and playlist offline and bypass DRM protection from Spotify music files once and for all. Since Spotify music are encoded in DRM-ed Ogg Vorbis format, it’s impossible to play the songs on popular MP3 players even downloaded. Don’t worry though. 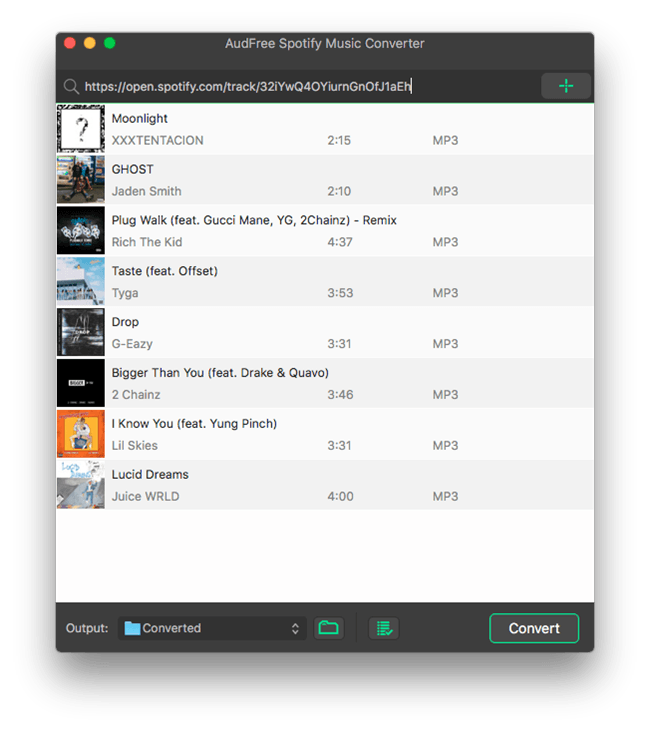 The Music Converter for Spotify from AudFree here will help you to convert the Spotify music from OGG to common MP3, AAC, WAV, FLAC, M4A and M4B so that you can share them to other platforms without worrying about the compatibility any more. 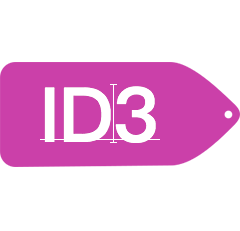 Thanks to this intelligent DRM Spotify converter, you can get full control over the downloaded Spotify music tracks as it can preserve the title, artist, cover, album, year, genre and other ID3 tags information of the converted songs. More flexibly, you are also provided with the ability to fix the ID tags and edit other audio parameters, like audio channel, sample rate, bit rate (320kbps), codec, etc. all based on your own needs. Common MP3 players such as iPod, Zune, Creative Zen, iRiver, etc. Smart phones like Apple iPhone X, Samsung Galaxy S8, LG G7, etc. Tablets including iPad, Surface Pro, Kindle Fire, Galaxy Tab, etc. Smart speakers like Google Home, Sonos, Amazon Echo and so on. Smart TV sets such as LG, Samsung, Sony, Panasonic and more. Car audio system or game consoles including PS4, Xbox and others.  In addition to an industry-leading Spotify music tool, it’s also the fastest Spotify music converter as it’s supposed to work at 5X faster speed when downloading and converting the tracks from Spotify. 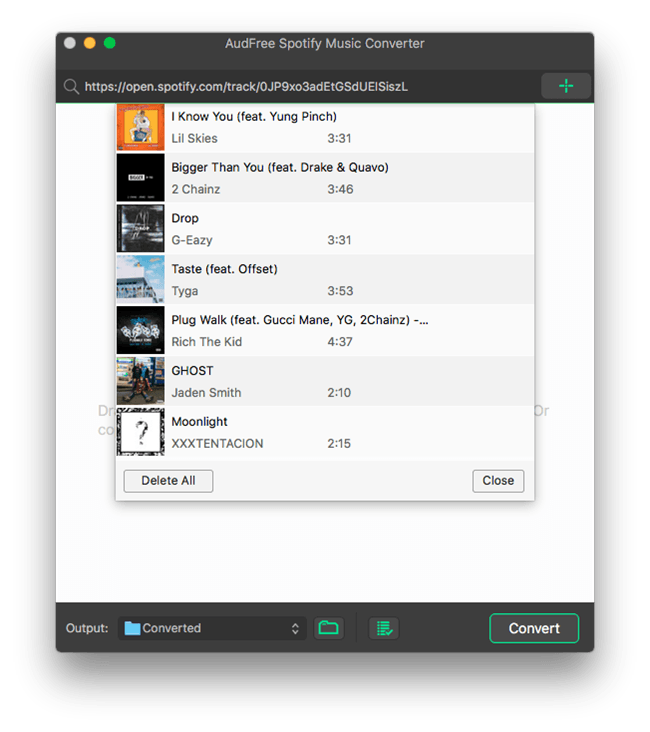 AudFree Spotify Converter for Mac is well designed with clear UI and neat buttons so that anyone can download Spotify playlists with easiness.  It supports drag-and-drop as well as batch conversions. Once you open AudFree Spotify Music Converter, you'll find the main interface as above. Interface after adding Spotify songs or playlists to AudFree Spotify Converter for Mac. Downloading process once you starting to download songs from Spotify with AudFree. You can locate the converted Spotify tracks via 'history' icon. What's the difference between trial version and full version? How to fix Spotify launch error? What's your upgrade and refund policy? 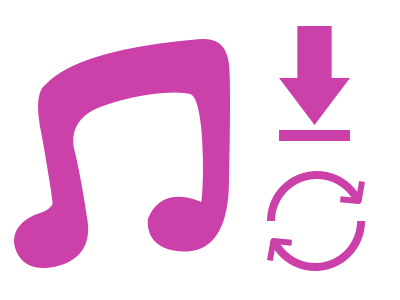 How to Download Spotify as MP3? Solved!